FOCUS TRANSPORT: "Economic Weakness” Affecting Growth Within Go-Ahead Bus Division. "Economic Weakness” Affecting Growth Within Go-Ahead Bus Division. North East transport giant the Go-Ahead Group plc said continuing “economic weakness” on its home territory is affecting revenue and passenger growth within its bus division. Ahead of the publication its full year results on September 3, the firm released a pre-close trading update for the year ended June 27, in which directors say expectations for year remain unchanged. The Newcastle-headquartered group, which operates the Go North-East bus services in the region, last month warned of stalling revenues in its home region, affected by what it described as ongoing economic weakness. That trend has continued throughout the final quarter of the year, affecting turnover and passenger journey growth. Roadworks in Oxford and Brighton also significantly impacted the firm’s services in those areas. 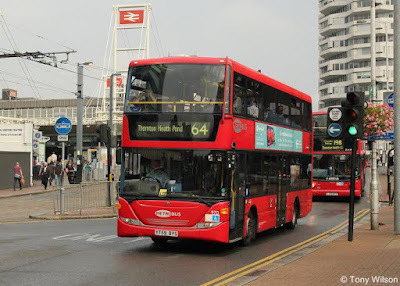 As the group expected, mileage in London bus operations increased in the fourth quarter as new contracts began during the period and revenue is expected to be broadly flat. 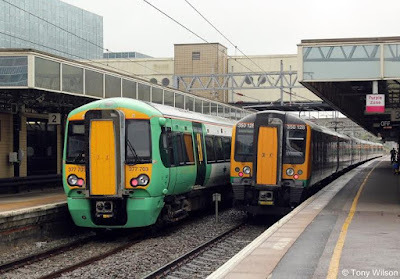 The firm’s division operates the GTR, (Govia Thameslink Railway) Southern (including Gatwick Express), Southeastern and London Midland franchises through 65% owned subsidiary Govia. Southern’s trading performance remained in line with expectations and the franchise will continue to receive revenue support until July 2015 when it will be integrated into GTR. Trading in the Southeastern franchise, meanwhile, continued to outperform expectations. Discussions with the Department for Transport are underway regarding a potential direct award contract for London Midland from March 2016 to June 2017. The market note said: “GTR continues to incur incremental costs as a result of inherited operational challenges and changes in its operating network. In the first quarter of next year the Department for Transport is expected to announce the successful bidders for the Northern and TransPennine Express franchises, which the group are bidding for. “Our full year expectations remain unchanged. “In rail, we continue to work closely with Network Rail and other industry partners to minimise the impact on passengers of the major infrastructure works associated with the Government’s £6.5bn Thameslink Programme, including at London Bridge.